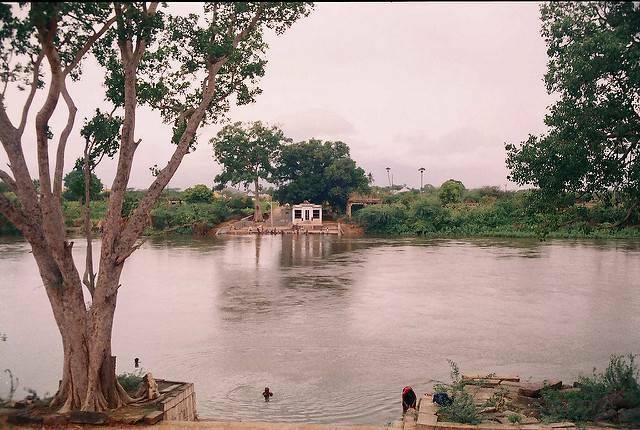 This tiny village of Maruthur is located on the banks of Thamarabharani river. Here one can see a stone dam called “Anaikattu” built across the river to facilitate the water the agricultural lands. The dam is of 2.5 k long and its height ranges from 20 feet to 35 feet. Local people have a myth as far as this dam is concern. As per the myth, once a poet named Kavirayar lived in this village. One night while he was meditating on banks of river, he came across two lemons floating on water. As soon as he picked it up, the lemons changed into two beautiful princesses namely Maruthavalli and Cholavalli. When the poet enquired about their disguise, they told him that god have changed them into lemon when they are about commit suicide by drowning in water, as they were forced to marry king who is older than them. Stunned by their beauty, the poet himself asked them to marry him. But the princesses in order to not marry him, asked him to build a dam across the river before dusk. He prayed to god and sang a song which moved all stones and mud across the river and the dam was built automatically.